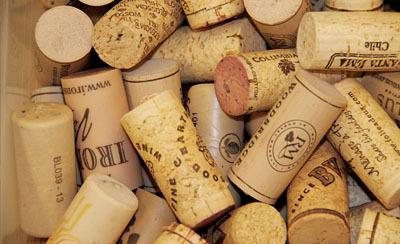 I recently enjoyed a blog post from communityplaythings.com that talks about loose parts play. What in the world is that? 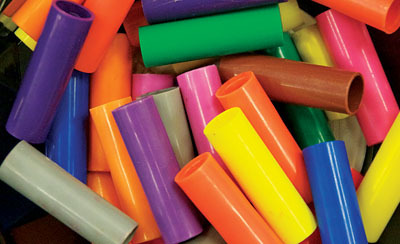 Basically it involves letting the kids play with “stuff.” While this article is written with the Early Childhood educator in mind, I hope you will take a few minutes to read about this basic and easily provided play experience. After all, you are a child’s first and best teacher! Summer play (both inside and outside) would be a great time to incorporate some loose parts. When an environment is rich in loose parts, children are likely to discover multiple ways to manipulate them and new ways of thinking or processing the knowledge learned by playing with the materials.Children can use flat tree cookies to serve as a sturdy base for a tall tower, stepping stones to lead them safely across an imaginary river filled with hungry alligators, a steering wheel for their race car, or a lily pad to shelter frogs. They become more creative and flexible in their thinking while satisfying their ever-growing curiosity and love for learning. Children prefer loose parts. Anyone who has watched children play with toys or playground equipment knows that they quickly tire of things with a sole purpose. Once they’ve mastered the key function of an object—pushing the button to make a figure pop up or climbing a ladder, for example—they are ready to move on. The intrigue and the challenge are gone. In other words, children make their play choices based on how much variability those materials offer. A stick is a richer choice than a slide because it can become a fishing pole, a spoon for stirring a concoction, a magic wand, or a balance beam for snails. 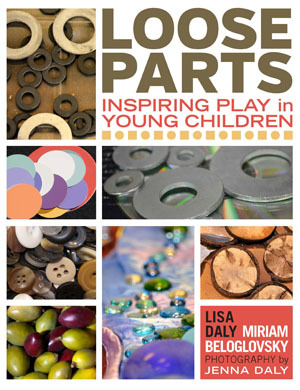 Loose parts offer almost numberless variables, prompting children to create their own stories. Children often express their ideas and feelings through art. An open art studio offers them tools and materials for telling their stories. 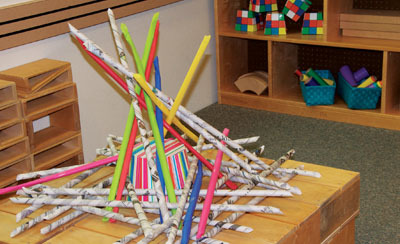 Adding loose parts to the art area can enhance their creativity and help them extend their ideas and questions. When loose parts are added to your art center, they offer children invitations to draw, sculpt, collage, explore, and extend their ideas. Such opportunities shouldn’t be confined to the art area though. Fill your indoor and outdoor settings with open-ended resources to encourage creative expression everywhere. Children’s sense of beauty can be as easily seen in their arrangements of sticks lined up side by side, wooden planks propped symmetrically against a lodge, rock mosaics laid in sand, and pinecones arranged in spirals.